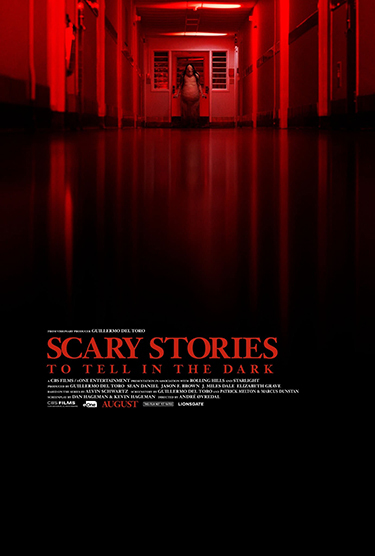 From the dark imaginations of Academy Award-winner Guillermo del Toro and acclaimed director André Øvredal, based on the iconic book series, comes Scary Stories to Tell in the Dark — in theaters this summer. It’s 1968 in America. Change is blowing in the wind…but seemingly far removed from the unrest in the cities is the small town of Mill Valley where for generations, the shadow of the Bellows family has loomed large. It is in their mansion on the edge of town that Sarah, a young girl with horrible secrets, turned her tortured life into a series of scary stories, written in a book that has transcended time — stories that have a way of becoming all too real for a group of teenagers who discover Sarah’s terrifying home.